Franz Liszt was a funny man: His mother tongue was German, he was the son of ethnic Germans and spent most of his life in Vienna and later Paris - yet he insisted on being Hungarian. In fact, he was a passionate patriot for this nation he didn′t really belong to in the strict sense of the word - and it kind of fits the image that his birthplace Raiding is now part of Austria and not Hungarian anymore. Raiding is a tiny village in the Burgenland and if it wasn′t for Liszt, it would have little to attract visitors. Like all of the Burgenland, Raiding has an eventful history involving hordes of a range of ethnicities, including the usual suspects such as Magyars, Turks and more Turks. The oldest written record of the settlement dates back to 1425 and assigns the Hungarian name Dobornya to the site. Until 1921, Raining - home to a mix of ethnicities, mostly German-Austrian and Hungarian - was part of Hungary. After WWI, the Burgenland became part of Austria only in 1921 - as the latest addition to an otherwise crippled nation. 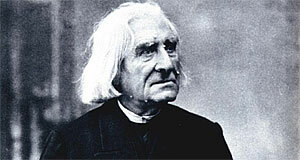 Franz Liszt was born in 1811 in a tiny cottage. The cottage was part of an estate that belonged to the Esterhazy family, to whom Liszt′s father served as a steward. Little Franz spent the first eleven years of his life here before he moved to Vienna, where he studied under some of the biggest name in the musical world of his days. Later on in his life, Liszt became a big shot as a composer of Romanticism and a great supporter of the Hungarian urge for administrative freedom from Austria. He died in 1886. His birthplace is now a memorial site - although officially referred to as a "museum". However, despite of being a genuinely pretty place, it lacks a proper exhibition. The items on display consist of a few Liszt memorabilia, photographs and some very few items from his personal possessions. Unless you are a big fan of Liszt or the site is on your way, it is probably not worth going there. Other attractions nearby include…well, nothing really - for Lockenhaus or Forchtenstein, two impressive castles that are both part of the "Road of Castles", you will have to go quite far. The same thing applies to the Seewinkel Area, the National Park Neusiedler See and Eisenstadt.